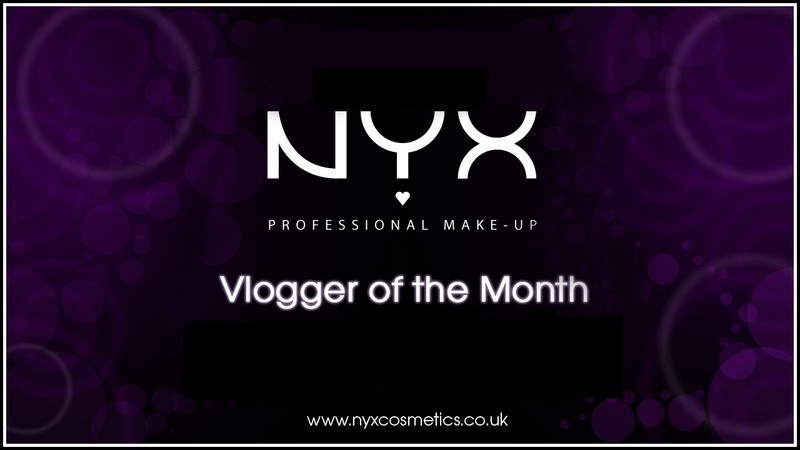 As I have previously said and you may guess from the title, I am NYX Cosmetics Vlogger of the Month for the entire month of January. 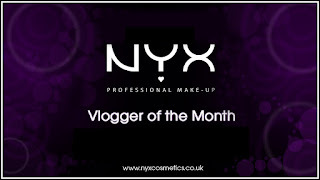 I will have 2 makeup tutorials with 4 blog reviews starting with this one. I created this video as I have received quite a few messages with regard to my eyes. I have quite large eyes and I have a lot of lid space to work with, so fortunately I can get away with blending my eyeshadow up high towards my brow bone without it looking too strange. I have received a few messages from girls telling me they cannot recreate some of my looks because they do not have a lot of lid space and that their eyes are quite small. You want to blend the eyeshadow upwards and outwards to the end of your brow bone this is going to elongate the eyes giving you the illusion of larger eyes, like so! 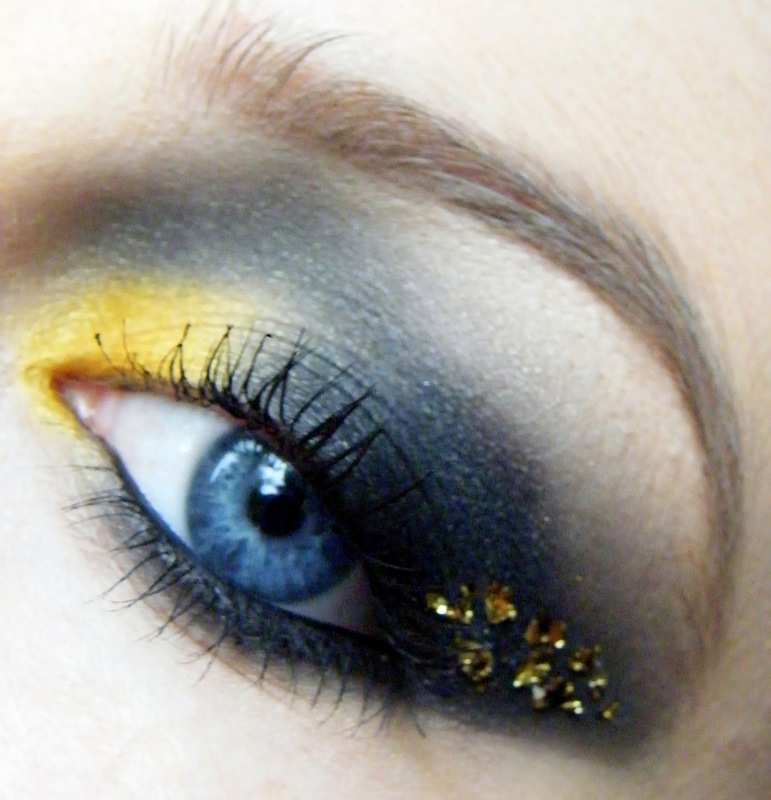 For this tutorial I kept all the darker colours to the outer corner of my eyes leaving the inner corner bare. I swept a matte white across the inner half of my lid while blending out to a shimmery black. Applying a lighter colour to the inner corner of the eyes helps to open up the eyes. Lastly, another great tip to help give you the appearance of larger eyes is to apply a white/cream eyeliner to the waterline. Sometimes white can be a bit too stark so some people may decide to opt for more of a cream eyeliner on the waterline. This will not only help your eyes to appear bigger but it will also make you look more awake! Finally, I created this tutorial for anyone who wants to add some colour to their makeup but maybe do not know how to go about it. A pop of colour on the lid is always a great option, blending colours that are not normally worn on a daily basis with neutral shades is a great place to start! I have chosen to do a more 'evening look/night out look' with the use of the dark black through the crease. Personally I don't believe there are rules to makeup and that a certain makeup look isn't suited for day time...I just wear what I like when I like. I know everyone does not see things that way! 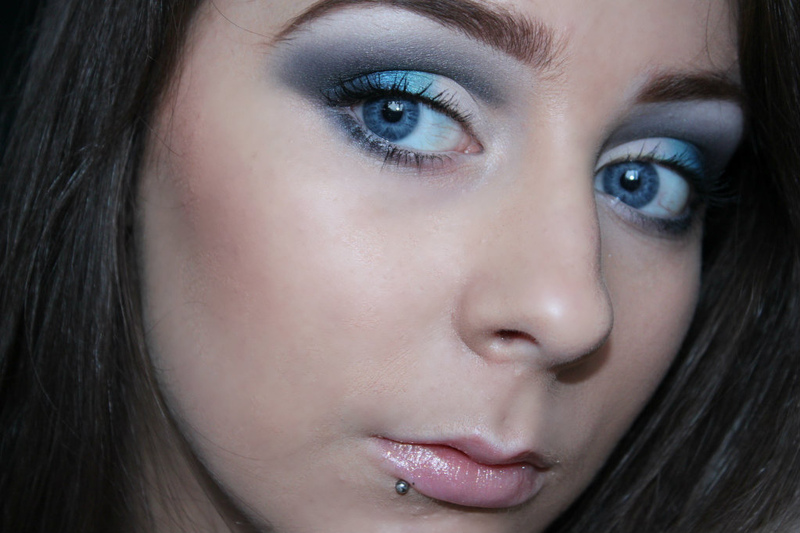 If you would like to see how I created the Icy Blue makeup look then just click on the play button below!